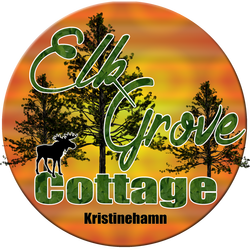 Eco Retreat, Events, Artisan Crafts, Organic Farm, Holidays..
Theomerla.. Set in the heart of the beautiful Swedish countryside..
​Elk Grove Cottage is available for bookings from 2nd July 2016. The cottage has a kitchen with hot plates, a small oven, a microwave and a fridge freezer. In the large main room there is a dining area, a lounge area with TV and DVD player and a bedroom area with a double bed, a sofa bed for one and there is a separate small bedroom with two single beds. There is a walk in shower, sink and toilet in the bathroom, and a washing machine and utility sink in the hall. 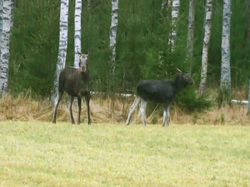 Outside there is a large raised decking area for sitting out, bbqing and watching the elks and other wildlife in our fields. There is off-road parking at the side of the cottage and guests have use of the private pool. Find out more about the cottage on its own site here.